Ride Your Bike IN the Zoo on Friday night! Looking for something to do on Friday night in Cleveland? Try going on the Wild Ride at the Zoo. Cleveland Metroparks Zoo will host a special night for bike enthusiasts to take part in Wild Ride at the Zoo. Guests will pedal their way around the zoo and enjoy an evening of animals and nature with their community. This is the first time ever where bikes are welcomed and integrated into the events at the zoo. This after-hours event will be on Friday, August 16th 5:30-8:30 pm. 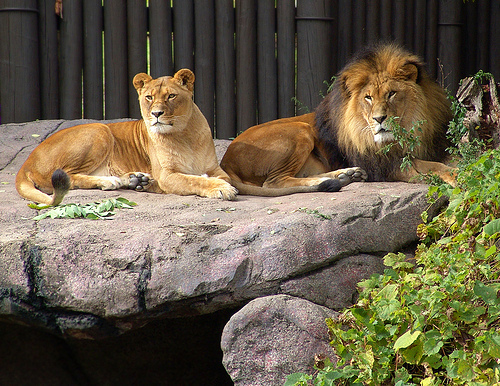 The Cleveland Metroparks Zoo has over 3,000 animals from six continents and is on over 183 acres. They have special events including specials for seniors, free child admission with a teddy bear and even Thanksgiving at the Zoo.